As Father's Day is approaching, I've noticed that this post has been popular and decided to update it by saying to all those who have lost a father, you're not alone. When I was 11, my father died in an automobile accident. When each Father's Day came, I would find myself depressed and wondering why other kids still had fathers while I lost mine. * Write your dad a letter. Tell him what has been happening in your life. Share family news. Find local, national, or global events that would have been of interest to him. Tell him jokes he would have appreciated. Also write about your feelings. Let him know how much you miss him, how you are coping, or even that you are angry at him for leaving you. This may feel strange and possibly slightly creepy at first, but once you get started you will find that your pen is flying across the paper. For just a few moments you will forget that he will not ever read your lines. When you are done, you could put the letter in a special box and keep adding a new letter each year. You could also burn the letter and imagine that your words will reach him on a trail of smoke. Bring a folding chair or a blanket and sit for a while. Talk to him as if he was still alive. Imagine his answers in your mind. You can leave flowers, maybe a ribbon or a balloon, or a stone if you are Jewish. You could bring a picnic lunch and share it with him by pouring a small quantity onto his grave. Make sure to clean up after yourself when you leave. * Look at photographs and letters. This is a wonderful way to tell your children about their grandfather. They may have been too young when he died to remember him very well. If they did know him, encourage them to talk about the pictures and share the things that they remember about him. * Invite friends and family. Another good way to share your memories is to invite your dad’s friends to a family gathering. This may be a formal dinner, a backyard barbeque, or an informal get-together with snacks and drinks. Take turns telling stories about your dad. You and the other guests will learn about the impact your dad had on other people’s lives. You will realize that you are not the only person who misses him. Especially if he has not been gone for long, you will be able to share your grief and to gain emotional support. * Go to your dad’s favorite place. If your dad had a special place he liked to go to, visit that place. You will feel closer to him, no matter if it is a beach, a cabin in the woods, a park bench, a museum, the opera, or his front porch. Spend some time trying to see the place with his eyes, to figure out what exactly fascinated him about it. Let your mind wander for a while. Think about the things he may have told you about this place. You will go home that evening with a gentle smile on your face. * Do his favorite thing. Maybe your dad liked to go fishing. Maybe he loved rodeos. Maybe his passion was musical theater. Maybe he was an artist. Maybe he collected stamps. 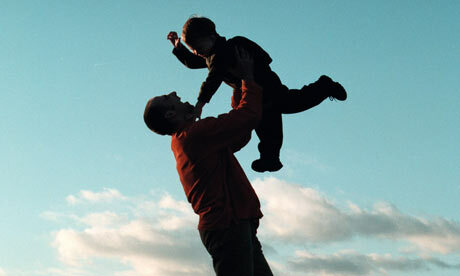 Spend the day doing whatever it was that gave your dad the most pleasure in life. While it may not be something that you would normally spend your day doing, it will bring you closer to him. * Have a moment of silence. Sometime during the day, take a few minutes to stand respectfully, without talking or other distractions. Picture your dad in your mind, think about all the good things he did in life and honor him for them. Whatever you choose to do on this special day should be something that will help you to focus on your dad and honor his memory. Concentrate on celebrating his life, rather than mourning his death.